INTERNATIONAL REPORT—Hotel profit plummeted in the Middle East and North Africa in January, as oversupply and struggling oil prices took a toll, sending GOPPAR to a 13.9% year-on-year decrease, according to the latest data tracking full-service hotels from HotStats. 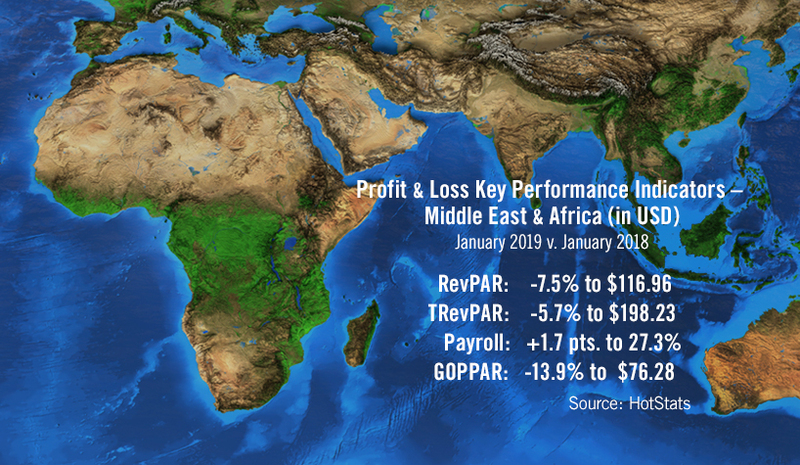 The decrease is part of a continued story for the region, which saw GOPPAR decline 6% YOY in 2018; it marked the fifth consecutive month of YOY decline in this measure at hotels in the region. The drop in profit was led by a 7.5% YOY decrease in RevPAR and a 2.9% drop in non-rooms revenues, which fell to $81.27, equivalent to 41% of total revenue. Although hotels in the region were able to maintain room occupancy levels in the month, at 69.5%, achieved average room rate fell further in January, dropping by 7.5% YOY to $116.96. Falling ancillary revenues included declines in food and beverage (down 5.5%) and leisure (down 6.5%). One silver lining was a 0.3% uplift in conference and banqueting revenue, on a per-available-room basis. As a result of the revenue movement across all departments, TRevPAR fell by 5.7% to $198.23. While this was 1.1% above the TRevPAR recorded at hotels in the region in the rolling 12 months to January 2019, at $195.99, it was almost $25 below this measure in January 2016, at $222.82, illustrating the widening gulf between historic and current performance levels. 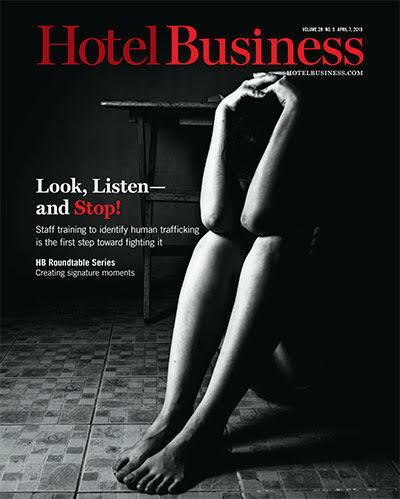 Declining total revenue was exacerbated by rising costs, including a 1.7-percentage-point increase in payroll levels as a percentage of total revenue to 27.3%, as well as a 1.8-percentage-point increase in overheads as a percentage of total revenue to 25.2%. Profit margin was recorded at 38.5% in the month.